Some events happening this week in and around Bogota. The weekly " Meet the Mayor" event will take place in the office of Mayor Chris Keleman This is open to any Bogota resident who would to ask the Mayor a question about Bogota, or to discuss any matter to help improve the quality of life in the Borough. Anyone who wishes just to have an informal conversation with the Mayor is also welcome to attend. Meetings will be held on a first come basis. This will run from 5:00p to 7:00p in the Mayors office. His office is on in Bogota Borough Hall located at 375 Larch Ave. Bogota, NJ. - Bixby School will have their Spring Concert on starting at 7:00p. This will have the premier performance by a dedicated string band at Bixby. There will also be a performance by the Bixby Bulldog Band. Both groups will perform this evening when the String concert was postponed. The String Concert was originally scheduled for Thursday 14- May.This will take place in the Gymnasium. Bixby School is located at the corner of Fisher & Maplewood Aves. Bogota, NJ. 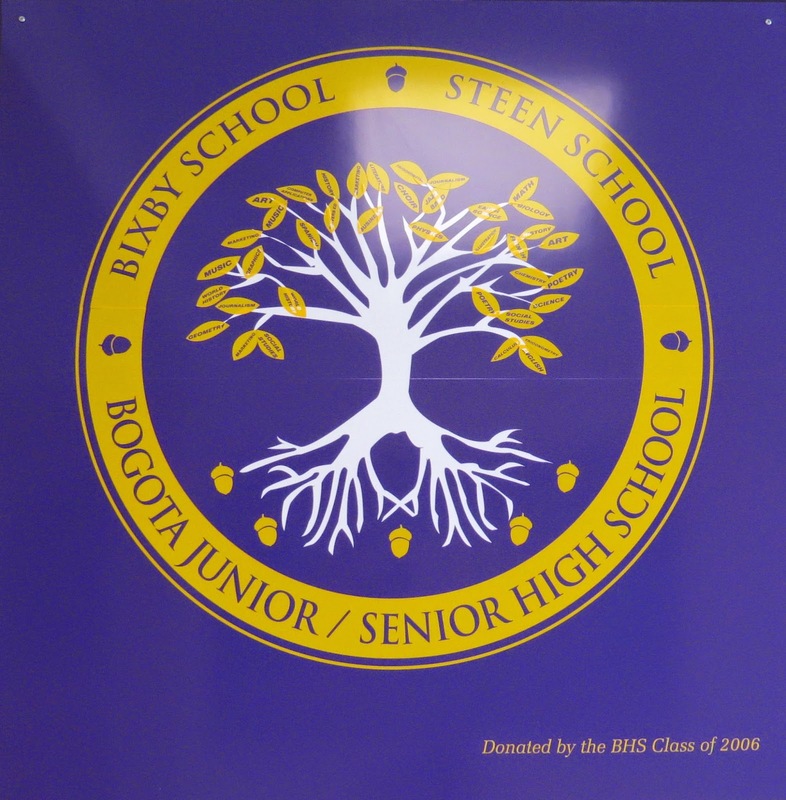 The Bogota Board of Education will have their regularly scheduled meeting and work session. This meeting will take place in the Cafeteria of the Bogota High School and start at 7:30p . The Public is invited to attend this meeting. Bogota Beautiful has their next board meeting on Wednesday 19-Nov.starting at 7:30p. It will take place in the Council Chambers of Borough Hall. Located at 375 Larch Ave. Bogota, NJ. The Public is welcome to attend. All Bogota Public schools will be closed on Friday 22- May and Monday 25-May in observance of Memorial Day. The Friday closing is the result of the Board of Education not using all the scheduled weather closing this past Winter. The Bogota Public Library will be closed on Saturday & Monday 25- May in observance of Memorial Day. All Schools of the Bogota Board of Education. St.Joseph's School, Trinity School, and Bogart School. The Bogota Public Library will be closed. Bogota Borough Hall will be closed for business. There will be no Trash collection for those who have regularly schedule Monday pick-up. The Thursday Pick-up will proceed as scheduled. - The Bogota VFW, American Legion and the Borough of Bogota will hold their Memorial Day Service starting at 11:00a. This will take place in front of Borough Hall located at 375 Larch Ave Bogota, NJ This event is free and opened to the Public. - The Bogota Memorial Day Parade will start at Palisades Ave & Cedar St in Bogota. This will kick off at 2:00p The Parade will travel North on Palisade to E. Main St. It will turn left onto E. Main St and cross over the 1st Lt. Albert Graf Bridge to Elm Ave. It will make a right turn onto Elm ave and travel north to W. Grove St. It will turn Left onto W. Grove to Larch Ave. It will turn Left onto Larch Ave and travel South to Bogota Borough Hall and will end after passing by the reviewing stand. In past year active duty military personnel on leave in New York for Fleet week have joined the parade. No active duty personnel will be able to travel to Bogota and join in this year ceremonies. -Monday-18-May they will play their final Regular season home game against Teaneck. This will be their Senior game and start at 6:00p. This will be played at Lady Bucs Field in Olsen Park.